ROCKWiRED.COM'S JAZZED AND BLUE PRESENTS: BARiTONE SAXOPHONiST AND BASS CLARiNETiST BRiAN LANDRUS OF THE LANDRUS KALEiDOSCOPE AND THEiR NEW CD CAPSULE!!! OCTOBER 16 2011 - The latest edition of JAZZED AND BLUE: PROFILES IN BLUES AND JAZZ is now available for download at Rockwired.com and features an exclusive interview with baritone saxophonist and bass clarinetist BRIAN LANDRUS of THE LANDRUS KALEIDOSCOPE and their latest CD CAPSULE. In the opening segment LANDRUS discusses the inspiration behind the buoyant sound featured on his adventurous CD, working with the electro-acoustic quintet THE LANDRUS KALEIDOSCOPE and the inspiration behind such choice cuts as STRIPED PHASE, LIKE THE WIND and CAPSULE. The second half of this edition of Jazzed and Blue will feature music from such jazz and blues artists as MOZIK, JASON HEMMENS, KENNY LOVE, TOM WOPAT and more. “Listeners have really taken a liking to the free form segment of the show and quite honestly so have I.” says Jazzed and Blue host BRIAN LUSH. "It's a real treat to end a long week with a show like this and to kick back and listen to some great music." 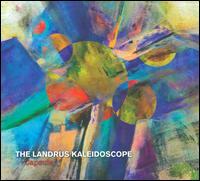 BRIAN LANDRUS is a once in a generation musician, and CAPSULE, the new album by his captivating electro-acoustic quintet THE LANDRUS KALEIDOSCOPE, offers a sonically expansive body of music that displays his melodically charged vision. The CD will be released October 25 on his BLUELAND RECORDS label. A master of low-frequency instruments, LANDRUS has found a highly personal voice on baritone saxophone, bass clarinet and bass flute, axes with relatively few champions. While making few overt references to R&B, "CAPSULE" explores LANDRUS' love of soul-infused grooves, seamlessly folding the lyrical hooks and tight structures of funk and Motown and Caribbean rhythmic currents into spacious jazz settings. Kaleidoscope brings together a stellar cast of musicians including MICHAEL CAIN on Fender Rhodes, piano (and electric bass on one track), rising guitar star NIR FELDER, acoustic bassist MATTHEW PARISH and drummer extraordinaire RUDY ROYSTON, a highly sought after player whose recent credits include albums with BILL FRISELL, J.D. ALLEN, BEN ALLISON, BRUCE BARTH and RON MILES. While the band's name could lead one to expect an eclectic session investigating constantly shifting sonic panoramas, the album possesses a remarkably cohesive feel. YOU CAN DOWNLOAD THIS EDiTiON OF JAZZED AND BLUE HERE!!! DOWNLOAD PART ONE FEATURiNG JASON HEMMENS HERE!!! DOWNLOAD PART TWO FEATURiNG THE FREE FORM MUSiC BLOCK HERE!! !